Simon & Schuster, 1992, Paperback. Condition: Good+. Both wraps present a slightly dog-eared look. Text bright and tight. Signed by the author on the ½-title page - unverified and reflected as such in the lack of premium. The Trellis Restaurant, located in Colonial Williamsburg, is one of the finest and most innovative restaurants in the country today. 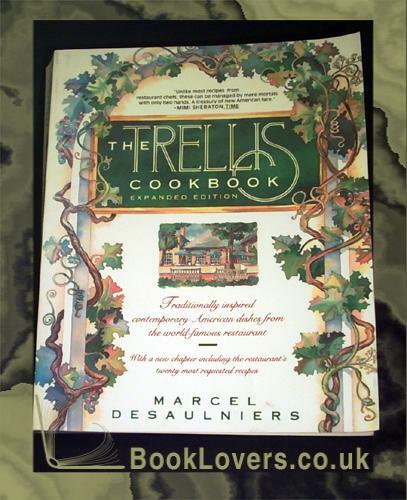 Now, award-winning chef Marcel Desaulniers shares his original, yet traditionally inspired, recipes in a cookbook that truly captures the informal elegance of the restaurant itself. Size: 9¼" x 7½". 383 pages.